In the previous part, it was presented that Central Banks are required to use their power to print money responsibly, so that people who hold those moneys have the assurance that its value would not be eroded over time. To do this job, there should a degree of independence afforded to Central Banks by their creators, the Governments which have done it on behalf of the public. However, in practice, there have been attempts at compromising the independence of Central Banks by political powers both overtly and covertly. 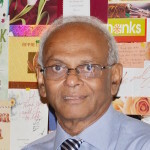 In Sri Lanka, the contentious issue has been the placement of the Secretary to the Ministry of Finance as a vote-carrying member of the Monetary Board, whose objective has been to serve his Minister and not the public. The architect of Sri Lanka’s Central Bank – John Exter – expected the Secretary to the Ministry of Finance, who at that time held the post as a permanent Government official, to function as a conduit to convey the wishes of his Minster to the Monetary Board, so that the Board could decide on monetary policy taking those wishes into account. Today, we look at how far this wish has been realised. The Exter report testifies to the fact that the independence of the Central Bank should be attained and maintained by people in both the Central Bank and the Ministry of Finance. They should work with a ‘moral consciousness’ regarding the well-being of the whole society. Any attempt at seeking narrow self-interests will be contrary to this moral consciousness. Exter had a noble objective that the Permanent Secretary of the Ministry of Finance will guide his Minister appropriately and independently. But that objective was defeated by the 1972 Republican Constitution, which abolished the post of Permanent Secretary in the public service. Instead, the constitution created a post of Secretary which was under the control of the Cabinet of Ministers. Hence, in today’s context, the Secretary to the Ministry of Finance sitting on the Monetary Board is not an independent member. He is a public official who will seek to lead the Monetary Board in accordance with the wishes of the Minister of Finance. Hence, a serious question has arisen today with respect to the independence of the Central Bank. Exter’s point was that the maturity of people and growth of guiding conventions were needed for the success of the Central Bank. This is in accord with the role of institutions in making a Central Bank a successful outfit, as presented by Daron Acemoglu and others in a paper they wrote in 2008 for the National Bureau of Economic Research under the title ‘When Does Policy Reform Work? The Case of Central Bank Independence’. According to them, the presence of a supporting institutional structure was a sine qua non for economic policy to work in an economy. Institutions in institutional economics are not just organisations. As Nobel Laureate Douglas North had argued in a paper published in 1989 in Economic Development, titled ‘Institutions and Economic Growth: An Historical Introduction’, institutions refer to “rules, enforcement characteristics of rules and norms of behaviour that structure repeated human interactions”. Accordingly, a society with strong institutions has members with high values and ethos that are built into a self-governing governance system. When the Central Bank as well as the Ministry of Finance is run by such people, as envisaged by Exter, the question of Bank’s independence does not arise. The presence of such a perfect situation not only leads to the development of a cohesive policy infrastructure but also helps both the Government and the Central Bank to achieve their respective objectives without running into conflicts and battling with each other. It is, therefore, clear that the independence of a Central Bank cannot be ensured just by a legal arrangement. It is dependent on how those in the Central Bank view independence as a necessary safeguard, on the one hand, and the appreciation of that stand of the Bank by all others, on the other. At the core of this independence, therefore, lies the bank’s freedom to decide on the appropriate level of money which it has to produce and supply to the economy. The experience throughout the globe has shown that the Central Banks which have produced more money than necessary have got into trouble by causing inflation to destroy their economies and having to go through painful currency reforms. In the past, it was just writing off a few digits from the face value of currency notes or introducing a new series of currency notes at new values. But today, with the proliferation of crypto-currencies competing with Central Bank produced money, the challenge has been for Central Banks to remain relevant in their respective economies. The latest case in point is that of Venezuela, which had to write-off not only five digits from its currency, but also to introduce its own crypto-currency named Petro to fight hyperinflation in the country. Thus, the management of a Central Bank – Governor and the Board – should be careful about those who have an interest in getting it to compromise its independence. There are three groups falling into this category: the political authorities, pressure groups in the market place and its own employees. Political authorities may need the bank to print more money to keep the electorate satisfied so that they could win elections. Pressure groups seek to earn a rent by getting a Central Bank to offer a favourable credit policy, a situation known as ‘regulatory capture’. Employees may agitate for enhanced compensation packages over and above the increase in labour productivity in a Central Bank. Since the only power enjoyed by a Central Bank is to print money, acceding to the demand of any of these groups will be disastrous for fulfilling its mandate. What this means is that Central Bankers should be people of stature – or as Exter had pointed out, people of maturity – to withstand the pressure coming from any of these groups. But going by the experience in the past, writers on Central Banking have taken liberty to identify the Central Bankers by the behaviour of a selected set of birds. The list not exhaustive and it is expanding with the emergence of new evidence regarding the behaviour of Central Bankers. It first started with doves – those who believe in accommodative monetary policy – and hawks – those who are conservative and in the opposite. But then, hawks and doves did not remain being hawkish and dovish forever; there was a change in attitude moving from one end to another. It led to name vacillating Central Bankers as ‘swingers’ who would at one point be in one end of the swing and at another, in the other end. They have now been joined by pigeons, who are peacemakers and would choose a hawkish or dovish policy depending on which way the pendulum would move. This inconsistency in approach by Central Bankers has a direct bearing on the independence of a Central Bank. When outsiders feel that the position taken by Central Bankers can be changed, they too have an incentive to penetrate the walls of the hard fortresses which Central Bankers have built around them and spoil their independent standing permanently. There are two developments in the recent past, which have made the independence of the Central Bank somewhat a blurred phenomenon. One is the inability of a Central Bank to raise a groundswell of public opinion to support it whenever there are attempts by political authorities to compromise its independence. Second is the wider role which Central Banks have assumed in addition to their main mandate of establishing price stability in the respective economies. Political authorities acting in self-interest have a natural inclination to abuse the power of a Central Bank to print money just by making book entries. If the managements of Central Banks, guided by prudential monetary policy considerations, make objections to such demands, politicians resort to levelling charges against Central Banks and their senior officers in public. The objective has been to intimidate Central Bank officers and convert them from conservative hawks to accommodative pigeons. The way to check such behaviour of politicians is to get the civil society to raise its voice against attempts at undermining Central Banks’ independence. However, Central Banks are unable to do so due to two reasons. One is the apathy of civil society on matters that do not have an immediate impact on its members. Even though inflation might hit them destroying the value of the financial assets they hold, its cost has to be borne in the future and not immediately. As such, the civil society makes the inter-temporal choice in favour of the current period’s illusive prosperity. The other is the hostility already built among civil society members against well-publicised scandalous occurrences that have happened in certain Central Banks. Some noted occurrences in the recent past have been worthy of mention here. The Governor of the Bank of Latvia has been arrested by Police for alleged bribe taking. The Governor of the Bank Negara Malaysia was forced to resign from the post, for his alleged involvement in a land sale during the previous administration of the country. The Governor of the Central Bank of Afghanistan is reported to have fled the country, after his alleged involvement in a scandal in a major commercial bank. The Governor of the Bangladesh Bank had to resign from the post, after hackers had siphoned off $ 81 million out of the Bank’s foreign reserves. The former Governor of the Central Bank of Sri Lanka is reported to have defied an order by the Magistrate Court for him to appear before the Police to give a statement in a case involving alleged insider dealing in the Government securities market. When this type of news hits the headlines, the public en masse revise their opinion on the Central Bank from respectful trust to angry hostility. Then it becomes a tedious task for those who remain behind a Central Bank to implement quick damage control measures. But, human tendency has been, according to those who have studied human behaviour, to blow up errors and downplay good work. Hence, even when a Central Bank has done hundred good things, it is not those good things which are fresh on the minds of the public. One mistake it may have done is sufficient to tarnish its good image and erode its reputation permanently. This is why it is necessary for boards managing Central Banks to take extra care to prevent the occurrence of scandalous incidents ex-ante. But, some of the scandals are difficult to be detected before they occur. In such instances, quick ex-post action to bring order back to a Central Bank would save it from a lot of embarrassment and public hostility. It then boils down to quality and stature of people who manage Central Banks. John Exter made this qualification about the Governor when he said that Governor should be a “man of recognised and outstanding competence in and understanding economic and financial problems and of unquestioned integrity and responsibility”. Though Exter had not qualified the competence and ability of board members, corporate governance requires them to be “suitably qualified, effective and exercise their ‘duty of care’ and ‘duty of loyalty’ to the stakeholders of the institution. The main stakeholder of a Central Bank is the public, who holds on to the entirety of money it has created, prudently or otherwise. Hence, the obligation of the Governor and the board members is to the public, and not the political masters who have appointed them to their respective posts. They hold those positions as trustees and not as owners of Central Banks, as I have discussed elsewhere in my 2017 book ‘Central Banking: Challenges and Prospects’. Hence, their failure on both counts will result in disaster for a Central Bank, especially in relation to maintaining its independence in the eyes of the public. I heard Central Bank oproblems began since the time of Mrs B when she took a loan from the Central bank to contest the election. JRJ did it better and others continued. Mahinda Rajapakse and Ranil are the peak. Don’t say you do not know anything. How did Mahinda Rajapske get money to pay the 4.0 million they with drew from the govt funds to build the mausoleum/museum/Library of their parents. Will Dr W A Wijewardena tell the readers struggling to understand the article. Examples of Hawks, Doves, Swingers & Pigeons In Central Banks will help. Are the ‘Doves’ privileged ‘Pigeons’ painted white? The ‘Hawks’, what do they eat? What do the ‘Swingers’ do after a drink at the corruption/nepotism/impunity club? Finally, currency depreciation is a fact of life. Do ‘Central Banks’ ever take this into account or just wait for a Venezuela to take place? Even the Governor is a public officer appointed by the President on the recommendation of the PM.So the Treasury secretary being a public officer want hold water. What matters is the way these officers behave once appointed. Immediate past Governor let down the appointing authority by his behavior. Former Governor Cabral was a politician and for that matter a defeated one and one who jumped parties. How can we expect Central bankers to be independent when in practice some of them go behind bank managers for facilities for them and friends, seek and obtain jobs for their children in banks, [banks happily oblige[ and seek donations from banks for NGOs of which they are members. Analyst on When Does The President’s Term End?Why are they running to Hindu poosaries in India and in SL? ?